Emmaline Gypsy Sage charming chandelier drop earrings are made to last. When you are looking for that truly special piece to cherish, you have come to the right place. 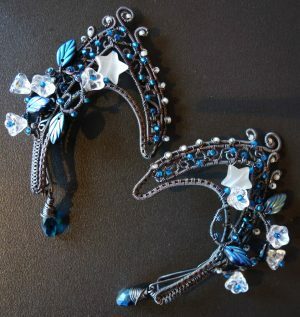 These lovely chandelier earrings are the fraternal twins to Tiranille. 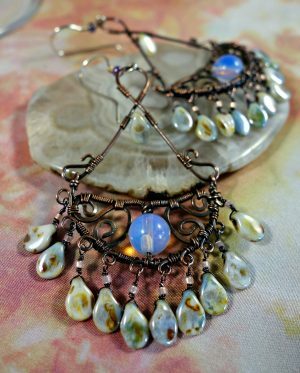 A frosted leaf and Laboradite focal beads embellish these. A fringe of peacock dagues hang below that lightly tinkle as you move. 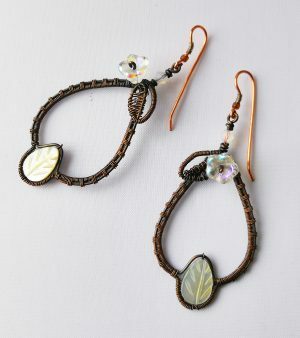 I wrap each dangle individually onto the earring. These earrings are much more durable because of this. 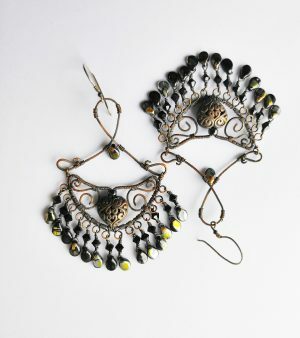 Jump rings are normally used with dangles and are known to fall off. You will treasure these forever. 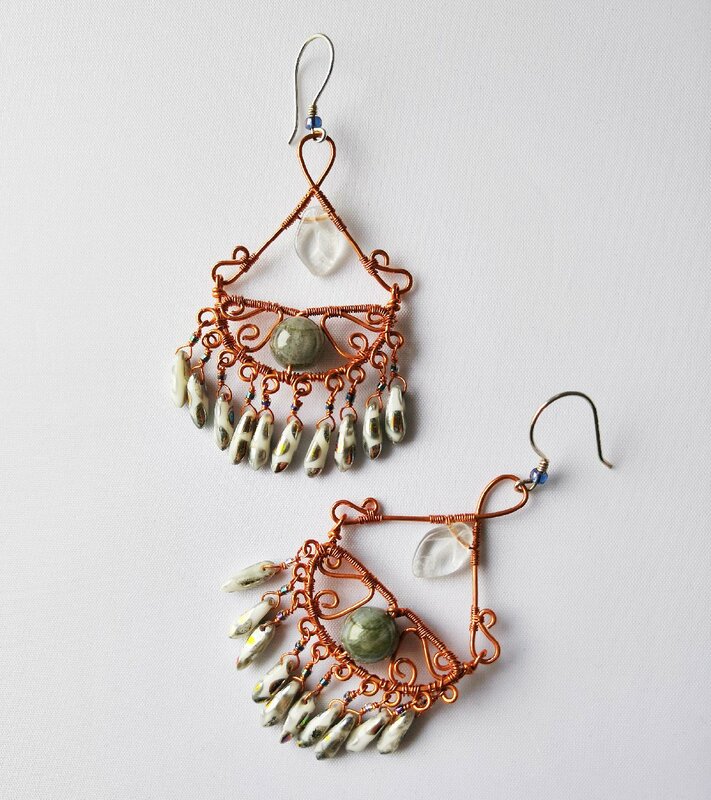 Wrapped in sterling silver with sterling silver ear wires.